Digital audio is everywhere in the modern world—telephones, television, sonar, and Spotify. For all the ways it has revolutionized the way we hear, converting the waves to ones and zeros is a surprisingly straightforward process. Here's the science of sound. Sound is a pressure oscilation travelling through a compressible medium, whether it's gas, liquid, solid, or even plasma. Conversely, that's the reason why, in space, no one can hear you scream—there is no medium to propagate the oscillations. 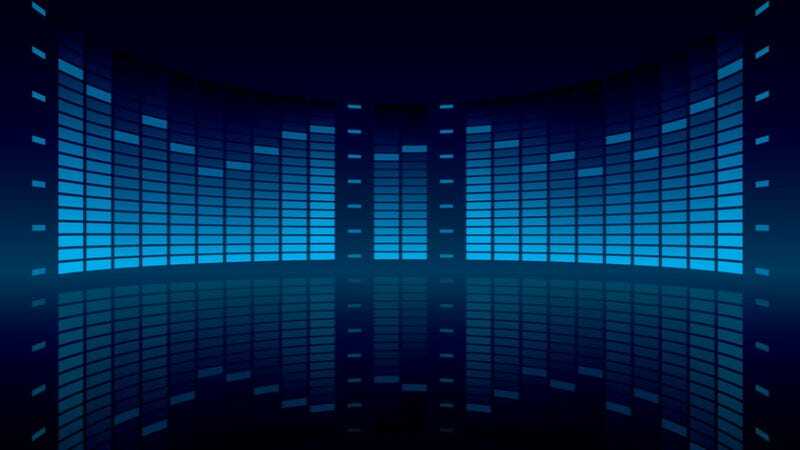 Under normal conditions, a sound's wavelength ranges from 17 meters down to 17mm, though the human range of perception is limited to frequencies between 20Hz and 20,000Hz. British scientist Alec Reeves is credited with inventing pulse-code modulation, the underpinning mechanism of digitizing sound, in 1937. But nature's been using digital audio for much longer—in the human ear. When you speak, your vocal chords vibrate the air molecules expended from your lungs. This vibration jostles nearby air molecules and sets off a rippling chain reaction, like a small shockwave of compressed molecules expanding out from your mouth until it hits an ear. When it does, the sound wave vibrates the ear drum, which translates those vibrations into electrical signals. The brain recognizes that as sound, and the frequency of the vibrations determine the pitch of what you hear. Thus, an analog waveform is transformed into an electrical signal—like natural digital audio. Man-made systems, on the other hand, employ a trio of devices to recreate this process mechanically—specifically, a microphone, an amplifier, and a loudspeaker. Microphones operate like the human ear. The pressure created by sound waves vibrate a thin metal diaphragm, which is wrapped in a coil of wire and situated next to a small magnet. The movement of the diaphragm generates a magnetic field that in turn creates an electrical current. This current flows down the wire, on into an attached amplifier. The current created by the microphone is quite small, too little to effectively drive the speakers. The amplifier increases the audio signal from the mic so it becomes a larger current. The amount of added current is determined by the amp's power supply—more powerful amps generate a more powerful sound. Not only that, increasing the signal current also improves sound quality, resulting in more dynamic, powerful audio. When an analog waveform is converted to a digital file, the analog information must first be translated into bits. This is done through sampling, a process performed by a computer's Analog to Digital Converter (ADC) hardware. Higher sample rates, measured in Hertz, mean the digital file more closely matches the original analog sound. To get the highest rate, the ADC frequently measures the amplitude of the analog signal's wave form. Conversely, for a digital signal to be played back, it must be converted to analog by a Digital to Analog Converter (DAC). The accuracy of these measurements constitute the sample resolution, and they're measured in bits. The more bits of resolution, the greater the accuracy. So, a standard audio CD, for example, typically uses a 44.1 kHz sample rate with 16-bit resolution. You must have speakers to reproduce the digital signal in a form we can actually hear. Speakers perform the opposite role of microphones, but their specific, tiny vibrations operate in much the same way. The most common type of speaker uses a driver, which is basically paper cone attached to an electromagnet, set in a rigid frame. As the electrical signal flows from the amp into the speaker, it activates the electromagnet, generating a magnetic field. The magnetism pulls the driver assembly towards another magnet, affixed to the rear of the speaker cabinet. Cycling the electrical signal on and off pushes the driver back and forth, vibrating air in front of the cone at specific frequencies. Smaller drivers that operate at higher frequencies, known as tweeters, are used to reproduce higher pitches; midrange drivers and subwoofers use larger cones to generate lower tones. Multiple drivers are often combined into a single cabinet to create a fuller, richer sound than what any individual one could produce on its own. With the speakers vibrating, the room is full of sound again, as it was when the noise first entered the microphones. It hits your ear, and your brain recognizes it as a song—but the science of how that happens is another story altogether.